Post Payment online, its mandatory for the candidate to update his/her profile through the Online Registration Form. Candidate application is considered valid only if the application fee is paid & booking ref# is entered in the registration form. Candidates name should be same on Registration form & Payment details. 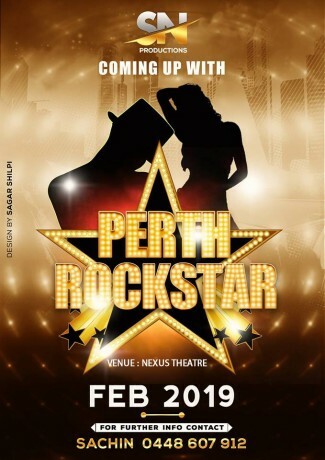 SN Productions Presents Perth Rockstar 2019. Welcome to the online registration page of Perth Rockstar 2019. Please fill the below given fields, upload/share your kid’s best dance performance and he or she may get a chance to be part of the show. Dance, dance & Dance. All communities are welcome. Solo Performances & group performances. Make your performance ready and show your talent. We are inviting solo, duet, trio and group entries for this season. For any audition related queries, please get in touch with us at 0448607912. Premier Tickets is an online event marketing and ticketing agency. Premier Tickets will NOT be responsible for any changes related to the event schedule, artist, venue or cancellation and refunds related to the tickets for REGISTRATION – PERTH ROCKSTAR 2019.